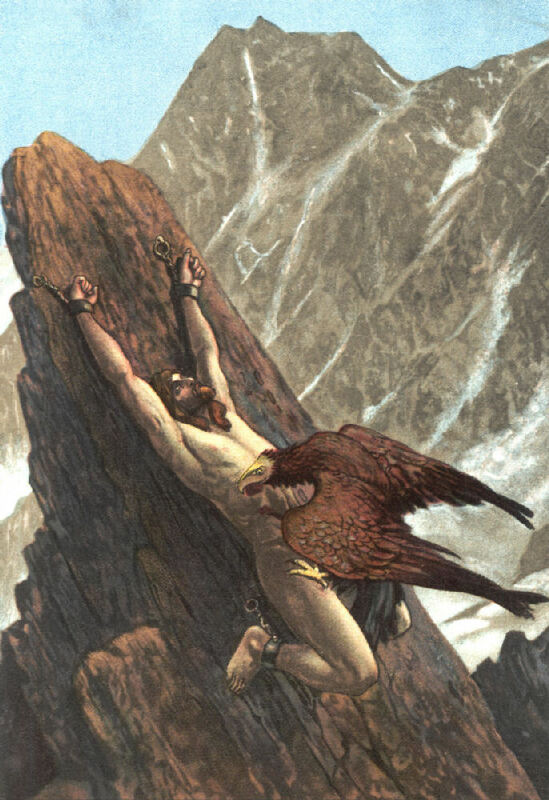 Prometheus and Hermes are both considered to be ‘tricksters’. Both lay claim to the gift of fire. 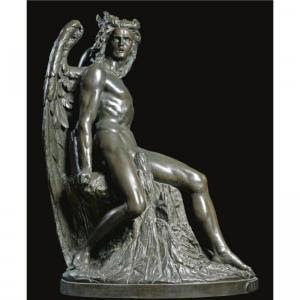 History though has awarded Hermes the credit of the ability to re-produce it. Yet it is another to whom we owe thanks for its gift. 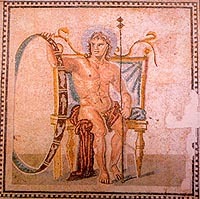 Prometheus, then Herakles too are credited one after the other with this precious knowledge, dispersed among our kind. Both are deemed to represent the archetypal hero. But can a trickster also be a hero? Should a hero also be a trickster? 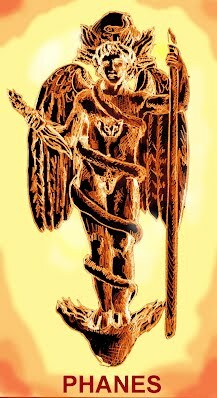 Science and religion view the role of Hermes through a gnostic lens as the Serpent of wisdom, an avatar of the Divine Mind. They saw Seth, the 3rd son of Adam as the Agathodaemon, the Lion, Serpent/Sun and [father of Enoch/ Idris –Hermes Trismegistus]. Seth gave the Sabaeans their faith and with it the western perception of a righteous but ‘hidden god’. Indeed, ‘mercurial’ eloquence is in fact silence, for the quick silver tongue holds its council, a mystery understood by even the most notorious exponents of the occult, Crowley too it seems deferred to ‘Harpocrates’, the silent Horus – the perfect child. Crowley perceived the path of the lightening flash upon the tree to be that of Silence. Expressed succinctly in the maxim, to will, to dare to know and to be silent, occultists add – to evolve/evolove. Silence of course refers to the phenomenal periphery, the revealed world of appearances, where experiences are inexpressible by common language. 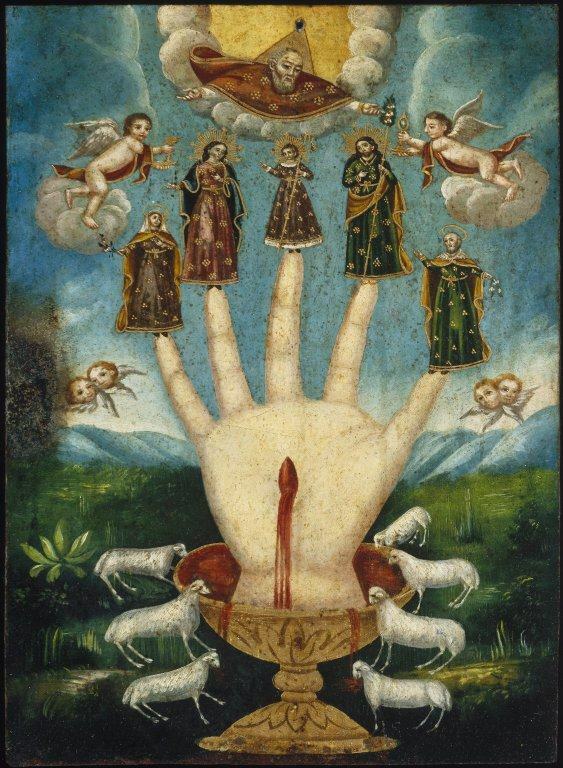 The seven stages of alchemy refer not literally from lead to gold, nor even from Saturn to Sun, but from dross to purity, from dark to light, the ultimate light………..of God the Highest. But what is ‘ultimate light? Of course, if the highest light is Zodiacal/Stellar Light [as the *8th stage of ascent], then the 9th being the Crystalline Sphere, the Primum Mobile/Primal Vortex [Kether] is the ‘darkness’ within and without that sensory brilliance. Medieval Kabbalists considered the 8th level to be final based upon the earlier Chaldean model. It equates with the Throne. the central font of light, the darkness of creation, even of light. Saturn, the darkest planet is the representative of Set/Har – the Sun/Sirius duality. Set/Anubis = putrefaction – the corruption that heralds new life. He is the Black Dragon, the ancient crocodile of the deep, Tiamat, Leviathan of the Abyss. His Powers of Air –North and Mercury, are shown on the wings of the caduceus, the dual serpents, enforcing the dual currents of tide and life. The stellar father is hidden behind the solar son, the true and ultimate light of existence! Lead/Saturn to Gold/Sun = Carbon to Diamond = Malkhut to Kether – Saturn to Saturn !!! So it is then, the unified spirit and soul must begin their journey of rotation through these elements and realms, beginning with Saturn, the serpents’ lair of the underworld, where one overcomes sequential time, moving into ‘kairos’. The soul of the dead is assimilated to the progress of the stars as typified by Sirius, born again of the Mother Nuit in the eastern sky after its disappearance in the west. Superficially, at least, this follows the course of the sun. [Nature, by fire is renewed in its integrity……………….curious enigmatic metaphor for purification! Mind is not the body, they are entirely separate; one serves the other according to Will. Pythagoras upheld the principle of the primal oneness, the cosmic egg [of Mitra – the pale white rock] that split into cosmic duality; the impulse toward unification is love [re-union]. Two manifestations develop from the ultimate = consciousness and thought, male and female, one in essence, a mystery beyond being. To the Egyptians [with whom Pythagoras studied], this was the ‘Undifferentiated One’ – the One who is All who is Nothing………. Ayin. Returning to alchemy, I note that the twin serpents of the caduceus are the Solar [Rosa Rubeus] and Lunar [Rosa Alba] dragons of the philosophers’ Mercury – the Father and Mother [fixed and volatile – sulphur and mercury.] Mercurial water is the agent of transmutation and return to divine unity, the essence of true magical transformation and exaltation, by this essence all things are resolved to their primal or Monadic being – their pristine existence. As each serpent devours the other, a phoenix rises from their ashes – the Perfected Being – Seth! Mithra is the deific entity, the phoenix that mediates between two ‘lights’, the visible and the invisible. It is the hiddeness of all being, the mysterious force of evolution and of the invisible light: Philosophically, the latent power of cognition, astrologically the source of the light of the heavens, and mystically the creative force of love. Mithra is not the sun, but the divine vortex of spiritual fire, the Heart of the Universe. The Sun/Son is its Manifestation. Mithra is of course the Divine Monad, the First Cause, Ultimate and Divine Truth. 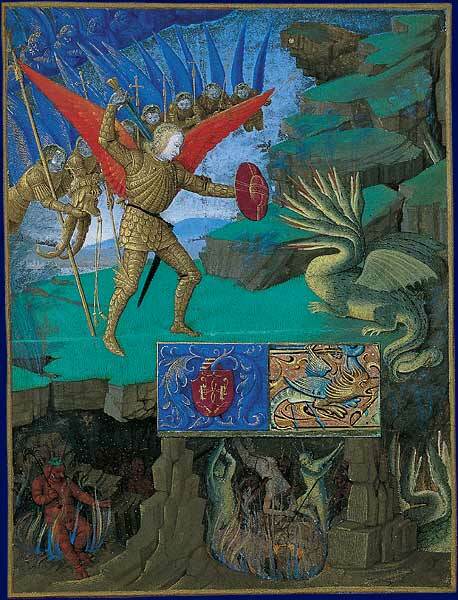 The ‘Adversary’ engenders evolove through affliction and triumph. Only ‘The’ Trickster is Heroic enough to sacrifice ‘Himself’ to this cause! ~ by meanderingsofthemuse on October 26, 2012.